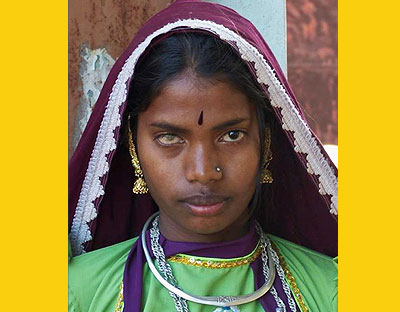 During March 2015, the Allow Golden Rice Now campaign traveled to the Philippines, Bangladesh and India to spread the positive message of Golden Rice and the humanitarian crisis which leaves 250 million children worldwide suffering from vitamin A deficiency. 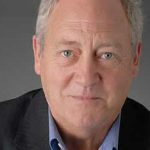 Dr. Patrick Moore is a Phd ecologist, award-winning scientist, author and educator. 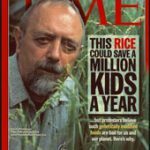 He believes the opponents of Golden Rice have no evidence to justify a ban on researching and developing it, as it is a food that could end untold human suffering and the death of millions of people. These organizations believe Golden Rice is safe and is the most promising solution to end vitamin A deficiency. Greepeace started out as a humanitarian group, the David against Goliath.It has now become the establishment, with over $350 million revenue each year, and it characterizes humans as the enemy of the earth. 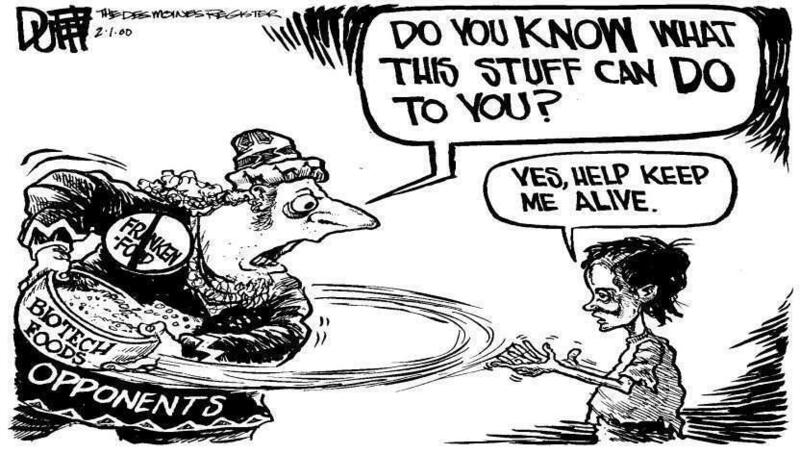 Unlike governments or corporations, they have no accountability for their power. For example, Greenpeace Germany raises up to $100 million annualy, but has only forty voting members, whose identities are kept secret. Those forty wealthy people decide on political and economic strategies which are now prolonging the continued death of millions. This will not stand. The most effective way you can help is by making a donation to support travel, media communications, website management and printing. The more support we have the more pressure we can put on Greenpeace and their allies to change their policy on Golden Rice. If you live in a city that has a Greenpeace office stop in and tell them personally they should make this exeption, send them an email, or phone them. If you are in the media, spread the story, use Facebook and share this website. Educate yourself on the issue and discuss it with friends. 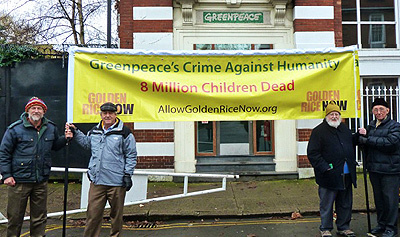 Greenpeace has blocked Golden Rice using public pressure, and that is the only way they will be convinced to change their position and make an exception for Golden Rice.